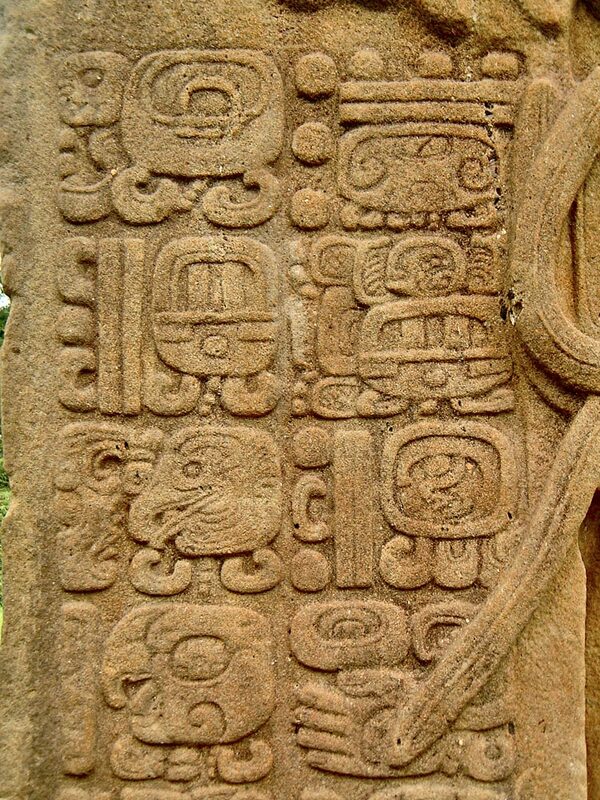 This is a close up of the glyph writing on Stela J. The glyphs are read in pairs from right to left and then vertically downwards. The glyphs may contain up to three different symbols which each represent a phonetic sound to create a word, or they may be pictographic and represent a god or a thing with a single image.